As we explore the untold stories of the new Vietnam, one of the ongoing mysteries are the people and brands that represent “Á Đông” vision and beauty. Through writing about the story of Helly Tong, some of the mystery is starting to make sense. Even amidst increasing Western influence, I’ve found that the idea of “Á Đông” vision and beauty is as strong as ever in Vietnam. And with that, we’re seeing the emergence of identities for Vietnamese fashion and lifestyles. Aside from representing “Á Đông” on the global stage as a model, Helly has owned a fashion line, a restaurant, and what looks like a newly opened greenhouse and library. 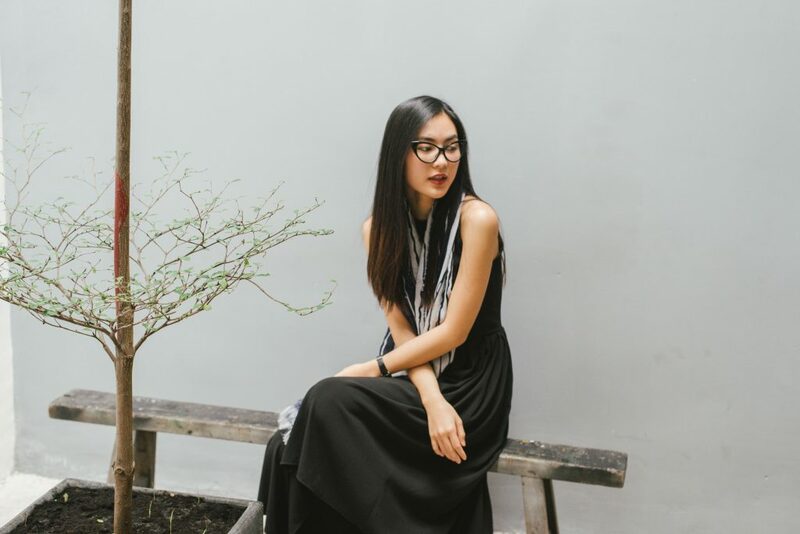 She’s creating a Vietnamese lifestyle brand. But what was it about? 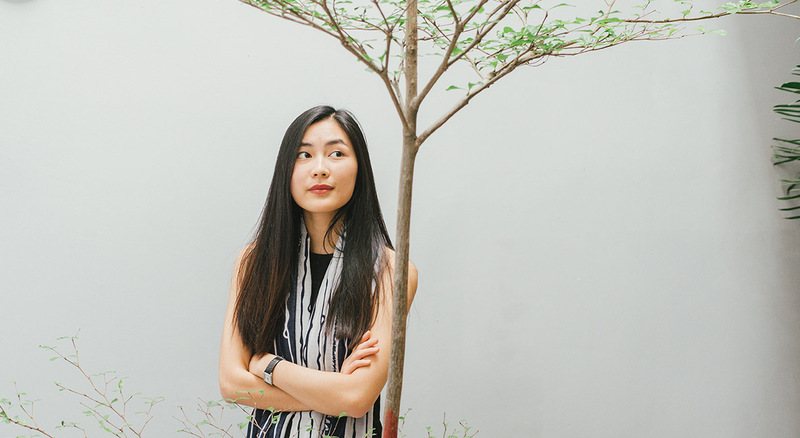 Using the centuries-old concept of a library as inspiration, Helly is hoping to make her newest project, The Yen Concept, into a go-to hub for knowledge and awareness of sustainable living in Vietnam. 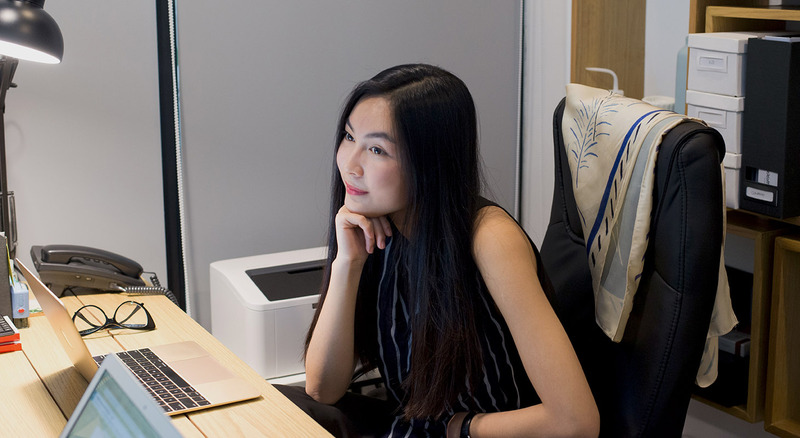 We were lucky enough to interview Helly to learn about her new projects, perspectives on working in Vietnam, and what it means to be a millennial Vietnamese woman. You seem like a busy bee. Which projects are you focusing on right now? I’m focusing my attention on two projects: my personal brand and The Yen Concept. For my personal brand, I’m staying on top of my commercial acting and modeling gigs. Having two complementary responsibilities adds balance and diversity to my work. It keeps my perspective fresh. I’ve been modeling for four years. I still enjoy and find value out of it, it never gets old. It’s given me the chance to stay engaged with new and long time followers about my ongoing lifestyle changes and what’s new in the world of fashion. It also helps to shine the spotlight on new challenges I’m working on. Three years ago, I was operating a vegetarian restaurant and fashion brand. I recently exited both to focus on my newest challenge, The Yen Concept. The idea for The Yen Concept was put together last year. We just opened our doors in June. What’s the goal for The Yen Concept? At Yen, our goal is to create space for people to embrace more sustainable lifestyles. We do this through several products. First is environmental awareness. We’ll do this by making education into a product. We engage our audience by making environmental education a fun, artistic process. Activities such as workshops and events will headline our brand to make the learning process more accessible. Secondly, we engage people to live more conscious lives through retail. This is done by creating products that tell the story of a sustainable, functional, and healthy lifestyle brand. The final product will be a physical space. It’ll integrate art and education to unify the lifestyle brand in a space where we can control the quality. Right now, there are no physical and intellectual spaces for people to explore sustainability and grow their awareness of the issues. Why are you focused on creating a physical space for learning and awareness of healthy living? People have long relied on libraries as physical spaces to store and grow knowledge. But the average Vietnamese person has poor reading habits. That’s why libraries and bookstores are uncommon here. I’d like to create positive sentiment about awareness and knowledge through a library-like concept. That’s why we’re setting out to create a physical and intellectual space for people to meet. Through these products, we’ll create a lifestyle brand that can help people find what they love. Vietnam doesn’t have the space to encourage exploration into different lifestyles, outside of the ones they know. What sort of audience are you hoping to draw to The Yen Concept? When our final product, the Yen Space, comes to life, the audience can be anyone. When I travel to dense, mega cities like New York City, locals gravitate towards open spaces like The High Line. It’s an escape from the bustle and pressure of a cosmopolitan, high energy city. Yet this escape is an accessible and prominent fixture of the city. It’s not exclusive. It’s inclusive. Why isn’t there anything like that in Vietnam? People struggle with finding balance between their personal and professional life. One way of achieving that balance is through the creation of an environment and brand where people can find themselves. Why did you launch your professional career in Vietnam and not abroad? It’s important to go where you can deliver the most value. In Vietnam, I can add more value by elevating Vietnam’s cultural brand to the level where it can be. If I lived in America or Australia, I’d have a tougher time to deliver value as a millennial. Ultimately, it’s also a foreign culture to me. It takes time to understand the complexities of a foreign culture. And time is our most valuable resource. Vietnam is my home and I know the people better here than anywhere else. My family wanted me to move abroad. But that would be following my family’s dream. After one year in Australia, I came back home to Vietnam. I was able to show my family what my goals were and what sort of success I was able to achieve for myself. For me, it came down to doing what I love. If you took a six month sabbatical to recharge and take your mind off your usual work, what would you do? I would travel, read books, and practice meditation. I’m an introvert so I enjoy my own “me time.” I’m at my best when I can set aside the time to focus on myself. Iceland. I visited during summertime and I’d move there in a heartbeat. If only doing business there was a bit more interesting than it is here in Vietnam! Other than that, I’ve spent a lot of the last year traveling with friends based in Europe. As for where to go next, I’ve been wanting to visit Bhutan and New Zealand. I like adventure, exploring the outdoors, and getting lost in beautiful nature and scenery. Thuy Nguyen. She never studied fashion design, but has built up an incredible design house for women’s fashion in Vietnam. Tim Pham. My friend Tim started my favorite place to shop for stationery in Vietnam, I look forward to seeing him develop more Vietnamese-inspired pieces! Vo Thi Li Lam. She’s designed vintage fashion pieces for years now and is one of my favorite designers in Vietnam.